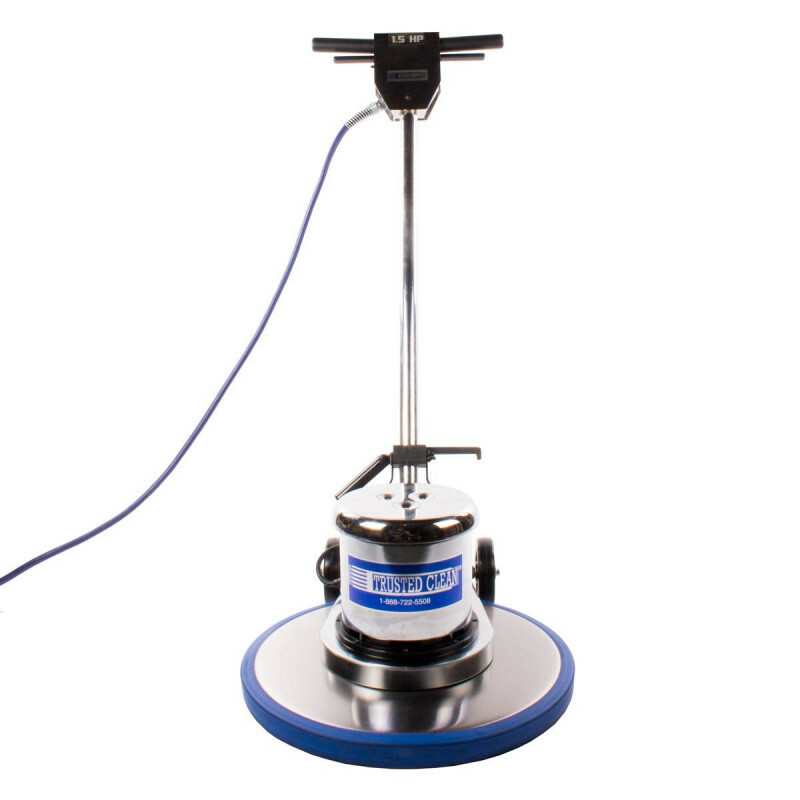 This 20 inch carpet scrubbing machine is great for those heavily stained areas on your carpeting. Use with our heavy duty carpet solution listed below, and a carpet bonnet, or carpet brush for scrubbing your carpets back to a new appearance. 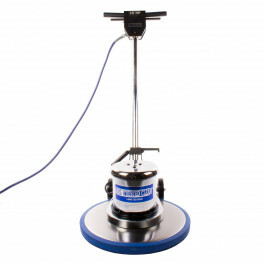 Use with a solution tank to dispense your carpet scrubbing solution onto the carpet as your going. This eliminates your down time, as you can dispense your traffic lane solution as you work! The 1.5 horsepower motor that comes standard on this floor buffer is strong enough to scrub the thickest carpets, which provide the most drag on a carpet brush, or bonnet. This carpet traffic lane scrubber is the most durable, and affordable carpet scrubber we have to offer. It is also powerful enough to do any type of floor buffing, scrubbing or stripping as well. 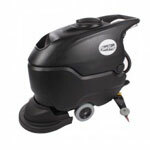 We carry many other brands of rotary floor machines and home floor scrubbers in various sizes. You're sure to find one that fits your specific needs. 50' 3 wire special low temp. vinyl jacketed cable. 3 year power-train, parts and labor warranty.